Are you fed up with pain and dysfunction holding you back from doing the things you enjoy in life? Make an appointment today to consult with one of our experienced Physiotherapists here at Ferry Rd Physio Gold Coast. We will help meet your Goals and improve your Function. We have Physio Gold Coast experience with: Sports and Spine Injuries, Running Injuries, Work Injuries, Pre and Post-Operative Rehabilitation, Back and Neck Pain, Headaches, Dizziness, Nerve Pain, and much more. Book Online Here – simple and easy way to book the time that suits you! A subjective assessment where you can explain the details of your pain, including the initial cause, location, behaviour of pain over 24hr period, aggravating and easing factors. Advice from the physiotherapist including possible diagnoses and cause, and whether you’ll benefit from physiotherapy. Note – no physical assessment or treatment is included in this introductory Physio Gold Coast session. A subjective physiotherapy assessment where you can explain the details of your pain, including the initial cause, location, behaviour of pain over 24hr period, aggravating and easing factors. A thorough physical examination on the areas most likely to be causing the pain. Explanation of the likely diagnosis, cause of the problem, and treatment plan. Treatment involving an appropriate combination of soft tissue release, joint mobilisations, taping to limit or guide movement, stretches and exercises aimed to strengthen weakness and/or improve control. The purpose of the treatment is to begin to relieve pain, restore function and commence work on rectifying the initial cause of the problem. A written Physio Gold Coast injury management plan including the diagnosis, cause of the problem, treatment required, home exercises, likely progress with treatment and duration of the rehabilitation. A thorough physical examination to gauge improvement from previous session. A written Physio Gold Coast update to the injury management plan if required, including changes to home exercises, likely progress with treatment and duration of the rehabilitation. A brief discussion of your progress following the final consultation. A brief physical examination to review initial problem areas. A review of home exercises and correction if necessary. Answers to any questions that may have arisen following the final session. We have expertise in work set ups, and provide treatment and management strategies to enable clients to work at full capacity and symptom free. We can organise pre-employment screenings for individuals and companies as a cost-effective method of reducing injury rates and time-off-work. We work alongside some of the best Orthopaedic and Neurological surgeons on the Gold Coast and in Brisbane, enabling us to rehabilitate you following small and large surgical procedures to get you back to what you love doing. We work Closely with a number of GPs as well in the surrounding areas of our Southport Clinic, including Surfers Paradise, Chevron Island, Ashmore, Benowa, Labrador, Nerang, and Bundall. 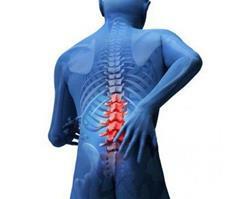 Spine care is vital for physical and mental wellbeing. We provide a thorough assessment to find the cause of your pain, and have therapists with backgrounds in functional movement patterns and pilates that can reduce you pain, increase you level of function, and keep you on track. What sort of treatment do our physiotherapists use? Our Gold Coast Physiotherapists’ are trained to assess your condition, diagnose the problem, and help you understand what’s wrong. Your treatment plan will take into account your lifestyle, activities, and general health.